Also, Miss January doesn't have a passenger side mirror (she is an S2 ) and I feel the lack of it every time I drive on a multi lane highway so I have to do something. The Mk1 MX5 that I saw (and I agree it was a Mk1, so goodness knows why I typed Mk3 ) was the first that I have seen that looked as if they might fit. The angle of the door panel was about right and the mounting looked big enough to cover the existing holes and marks (anybody know how they mount? can you get an electric version?). Style is obviously down to personal preference - cauliflower ears - and my own preference would be for FB's to have no mirrors at all (Miss January's passenger side looks much cleaner) but hey ho. 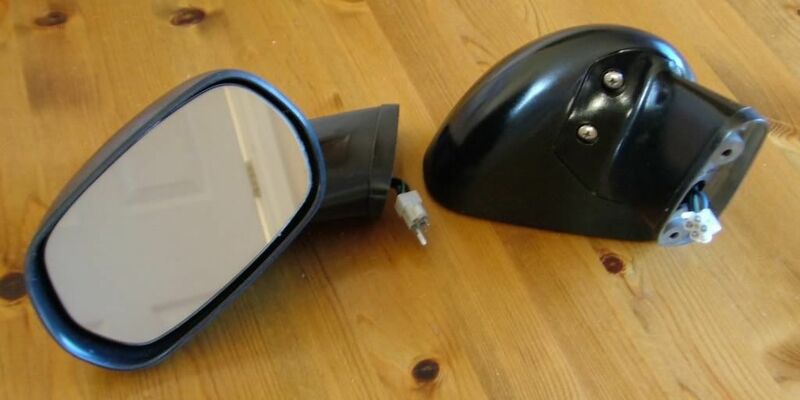 You can get Mk1 MX5 mirrors powered by electrickery, the overall shape etc is the same, only the base fixing is different, as it doesn't need the ball. TOOL wrote: Ford GT mirrors. Johnnyboy wrote: Do you mean these? some cheap mirrors on there! Im trying to grab some of these in the next month or so. 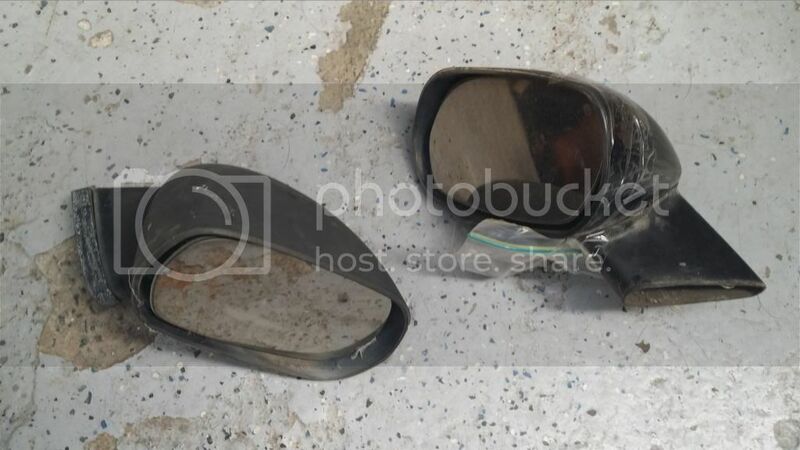 A guy on ausrotary has a set but I dont see any wires coming out of the mirrors like in this picture? Did your guys mirrors come with these wires, or did you swap the ones from your standard mirrors? Here the picture of the ones the guy in aus has. Tape is holding the bag of screws and other base plate he says.